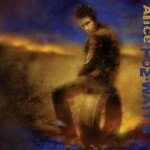 Alice is an album by Tom Waits, released May 7, 2002 on Epitaph Records (under the Anti sub-label). 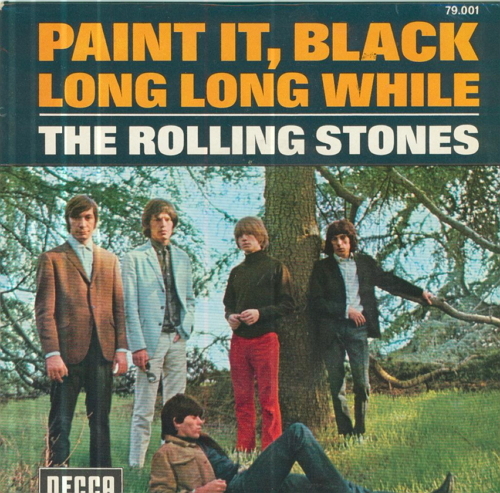 The album contains the majority of songs written for the play Alice. The adaptation was directed by Robert Wilson, whom Waits had previously worked with on the play The Black Rider, and originally set up at the Thalia Theatre inHamburg in 1992. The play has since been performed in various theatres around the world. 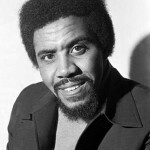 Jimmy Lee Ruffin (born May 7, 1939) is an American soul singer, and elder brother of David Ruffin of The Temptations. 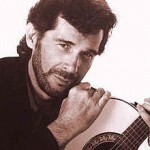 He had several hit records between the 1960s and 1980s, the most successful being “What Becomes of the Brokenhearted”. 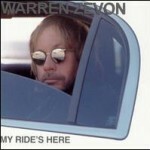 My Ride’s Here is the eleventh studio album by American singer/songwriter Warren Zevon, released May 7, 2002. Zevon described it as “a meditation on death”; it was released several months before Zevon was diagnosed with terminal mesothelioma. 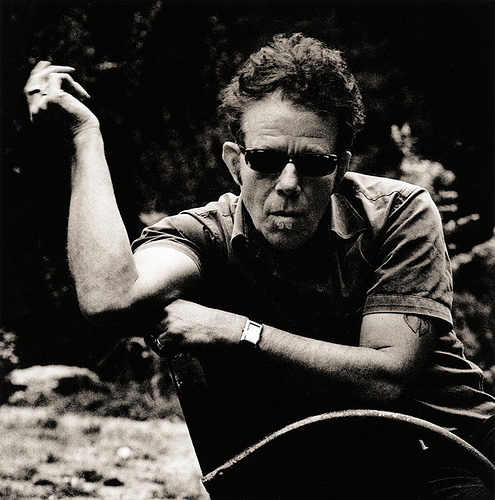 Thomas Alan “Tom” Waits (born December 7, 1949) is an American singer-songwriter, composer, and actor. 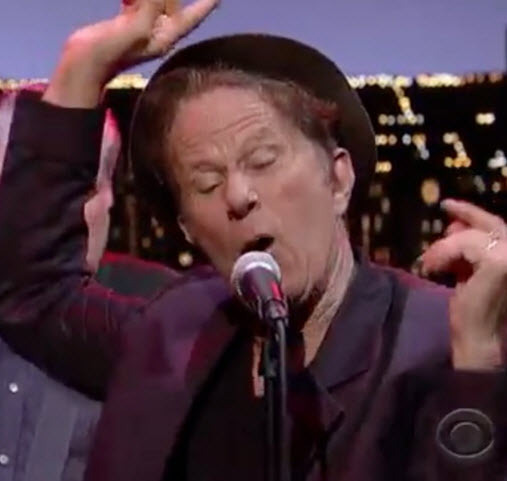 Waits has a distinctive voice, described by critic Daniel Durchholz as sounding “like it was soaked in a vat of bourbon, left hanging in the smokehouse for a few months, and then taken outside and run over with a car.” With this trademark growl, his incorporation of pre-rock music styles such as blues, jazz, and vaudeville, and experimental tendencies verging on industrial music, Waits has built up a distinctive musical persona. He has worked as a composer for movies and musical plays and has acted in supporting roles in films including Paradise Alley and Bram Stoker’s Dracula; he also starred in the 1986 film Down by Law. He was nominated for an Academy Award for his soundtrack work on One from the Heart. Lyrically, Waits’ songs frequently present atmospheric portrayals of grotesque, often seedy characters and places—although he has also shown a penchant for more conventional ballads. 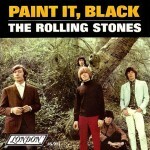 He has a cult following and has influenced subsequent songwriters despite having little radio or music video support. 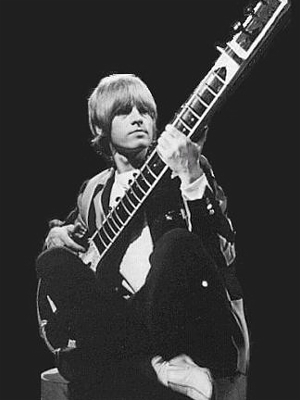 His songs are best-known through cover versions by more commercial artists: “Jersey Girl”, performed by Bruce Springsteen, “Ol’ ’55”, performed by the Eagles, and “Downtown Train”, performed by Rod Stewart. Although Waits’ albums have met with mixed commercial success in his native United States, they have occasionally achieved gold album sales status in other countries. He has been nominated for a number of major music awards and has won Grammy Awards for two albums, Bone Machine and Mule Variations. In 2011, Waits was inducted into the Rock and Roll Hall of Fame. Waits lives in Sonoma County, California with his wife, Kathleen Brennan, and three children. ……. The music can be primitive, moving to odd time signatures, while Waits alternately howls and wheezes in his gravelly bass voice. He seems to have moved on from Hoagy Carmichael and Louis Armstrong to Kurt Weill and Howlin’ Wolf (as impersonated by Captain Beefheart). 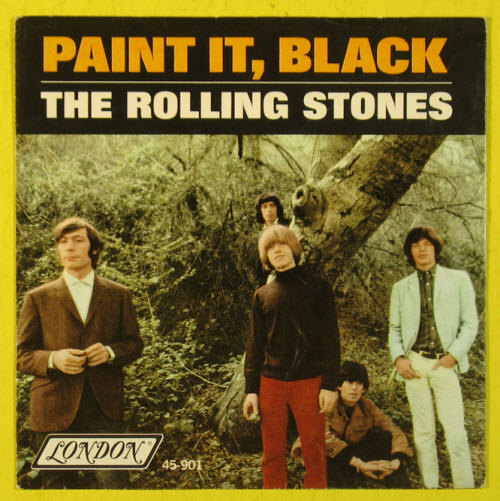 Waits seems to have had trouble interesting a record label in the album, which was cut 13 months before it was released, but when it appeared, rock critics predictably raved: after all, it sounded weird and it didn’t have a chance of selling. Actually, it did make the bottom of the best-seller charts, like most of Waits’ albums, and now that he was with a label based in Europe, even charted there. 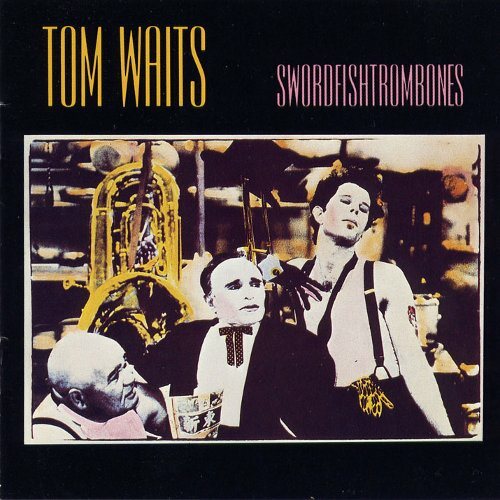 Artistically, Swordfishtrombones marked an evolution of which Waits had not seemed capable (though there were hints of this sound on his last two Asylum albums), and in career terms it reinvented him.